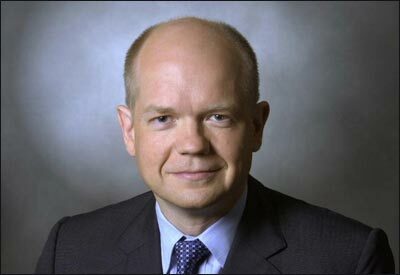 On 1 September 2010 the Foreign Secretary, William Hague, issued a remarkable personal statement “in response to press and internet speculation over the last 10 days“. The purpose of the statement was, in the words of the Guardian’s front page story to “deny Gay affair rumours” involving a 25 year old special adviser, Christopher Myers. The adviser also resigned as a result of the pressure of these “untrue and malicious allegations”. The rumours appear to have been started by bloggers. On 24 August 2010, the Guido Fawkes blog ran a story under the headline “Just Asking” showing a photograph of Mr Hague and Mr Myers and including a FOIA request about the latter’s appointment. On 31 August 2010 the blog reported that “Hague Shared Night in Hotel Bedroom with SpAd“. “The intriguing pictures of William Hague strolling through London with Chris Myers, his handsome new 25-year-old special adviser, are to be the subject of what amounts to an official inquiry”. The so-called “official inquiry” was the FOIA request already mentioned. A reader did not have to be “avid for scandal” to understand why the pictures with the “handsome” 25 year old were “intriguing”. The Daily Mail had an article with a photograph of the two men on the same day. “a Cabinet minister is ready to take legal action to halt a series of increasingly lurid but baseless rumours sweeping Westminster over his sexuality … Friends of the minister have warned that he will not hesitate to take “action” should unfounded allegations that he is homosexual, which are circulating on the internet, appear in mainstream media”. It went on to link this warning to the fact that Crispin Blunt, a junior Tory minister, had announced that he was separating from his wife to allow him to “come to terms with his homosexuality”. The point was clear. It was widely reported on the Internet that Mr Hague had issued this warning because of allegations of a gay affair. “For many years this has been our goal. Sadly this has proved more difficult for us than for most couples. We have encountered many difficulties and suffered multiple miscarriages, and indeed are still grieving for the loss of a pregnancy this summer. We are aware that the stress of infertility can often strain a marriage, but in our case, thankfully, it has only brought us closer together“. The result of all this is that a politician, his aide and their families have been subjected to a campaign of innuendo and caused obvious distress and upset. Doubtless they have been staked out by paparazzi for several days. Mr Myers has felt constrained to resign. Whether they were true or false the rumours were themselves an unjustified intrusion into Mr Hague’s private life. His sexuality is an obviously private matter which is no business of the press. One invasion of privacy then led to another. Mr Hague has felt forced to disclose obviously private information in order to rebut the rumours. His private life and that of others had been intruded on. It is difficult to see any public interest justification for this. The question as to whether a special adviser is a proper person for the job is one which the press can, and should, be asking. Perhaps Mr Myers was not someone qualified to be an advisor at the Foreign Office. This is an issue which could – and should – have been examined without the “gay relationship” angle. Certain sections of both the blogosphere and the press remain tainted by homophobia. It seems to us that a responsible journalist would have investigated Mr Myers’s qualifications for the job – compared them to others in similar positions – and if satisfied that there were questions to be answered would have put them to the Foreign Office. The story might or might not be worth reporting. It could, and should, have been reported without innuendos about “handsome” young men and “intriguing” photographs. The approach of some sections of the media to this story was not only irresponsible but is also, in seems to us, positively damaging to the public interest. If talented and accomplished politicians like Mr Hague are subject to rumour and innuendo of this kind they could be forgiven for thinking that a career in public life is not worth it. Of course the media should be scrutinising the decisions of elected politicians – including their decisions about the employment of advisers. What they should not be doing is sniping at their private lives – forcing them to reveal matters which are deeply private and personal. The lack of public interest or benefit is plain. I had to consider this issue for a Sunday newspaper before the story broke. I was satisfied that there was a public interest in the story. That arose from the fact that all of us – as taxpayers – were likely to be paying for this assistant’s role. It did not matter whether the individual was male or female. The appointment breached the Prime Minister’s rule that Cabinent Ministers should only have two such assistants and this individual appeared to be underqualified. There is a legitimate public interest in highlighting all of these points and if – in doing this – it is then evident that they had been sharing a twin-bedded room (male or female) then the comment is not just prurient, it is pertinent. The problem faced by David Laws was that he had failed – in financial terms – properly to observe the expenses rules. Again, not prurient but pertinent…given his (then) Treasury appointment. As we say in the post, “the question as to whether a special adviser is a proper person for the job is one which the press can, and should, be asking” and, as is pointed out, the question as to whether the appointment breached the rules. But this can be written about without it being “evident” that they shared a twin-bedded room and without the “gay innuendo”. This is not relevant to qualifications or adherence to the rules. It is the inclusion of this element of the story which is invasive and objectionable. This story, like the David Laws story, illustrates how it is the purient interest in the individual’s private life that dominates – rather than the real public interest issue. My fear is that the detailed statement issued by William Hague will be seen by newspaper editors (rightly or wrongly) as a green light to investigate the details of what he has now (albeit under intense pressure) put in the public domain. No doubt Mr Hague received advice about this (from Andy Coulson?) but even if he has succeeded in nailing this rumour, and I suspect that he hasn’t, he may have paid too heavy a price; his ongoing right to privacy.